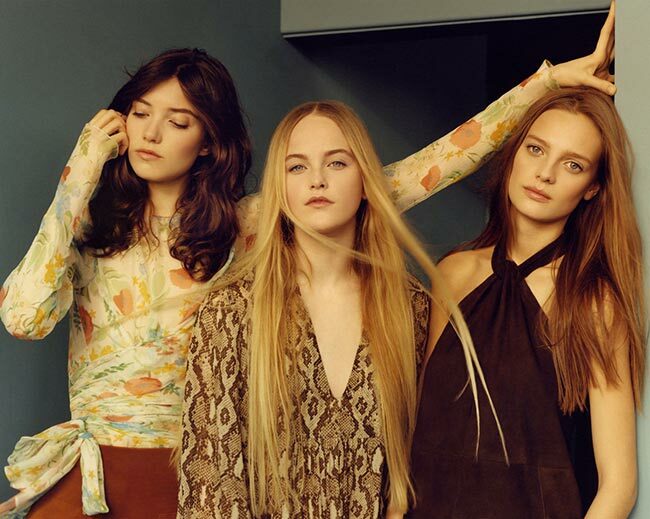 The Spanish clothing retailer described as a “Spanish Success Story’ by CNN certainly deserves a round of applause for the gorgeous	Zara spring/summer 2015 collection that has us wishing we were actually born in the ’70s to see their original cuts. Grossing over 7 billion in Euros a year, Zara is known as one of the fastest product developers in the industry, requiring only a month to get it launched and in stores despite the 6-month overall average. This allows for immense turnover, as well as the showcasing of 12,000 new designs a year. That’s an amazing number and Zara is an amazing brand in of itself. It is a fashion imitator company that does not transfer fast fashion production to low-cost countries and utilizes a strange strategy of zero advertising, instead opting to open up new stores. 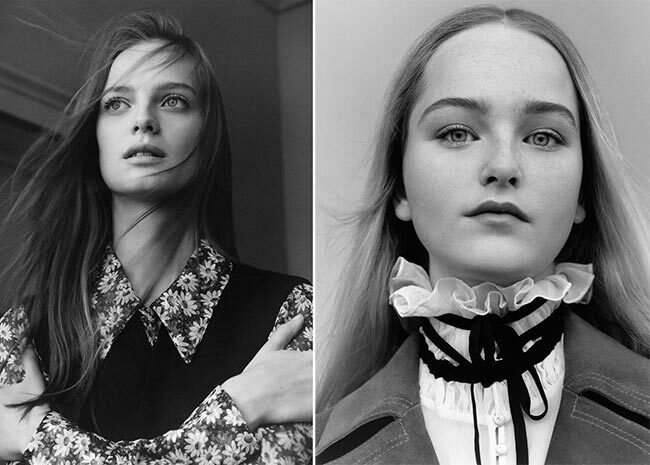 Zara’s approach to business is mind-boggling and definitely enjoyable to witness, while each new season we await for the latest in designs to be unfolded. 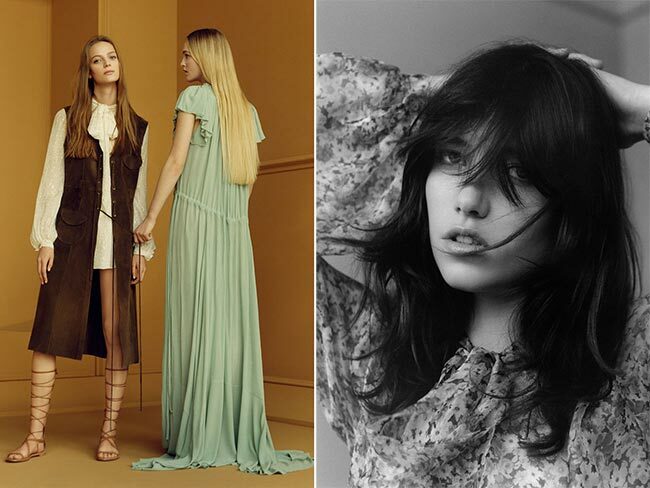 As such, we are exceptionally delighted to find that the new Zara spring/summer 2015 campaign features a country feel, full of suede and maxi dresses, halter tops and sheer designs. All that makes Zara so incredibly attractive is now seen through this particular collection as it stays true to the 2015 fashion and accessories trends. Quite Similar to Chloe, the first maxi dress on the list is a lightweight number in dark red, reminiscent of dried blood. It’s sheer enough to show off a silhouette while not so much as to give away the look of every curve on that body of yours. There’s a deep V plunge at the chest, coming down to just below the bust and showing off a sliver of the skin from each breast. It is kept in place by a string tied at the neck, while feathers of different birds are tied to string toed to the bow at the neck. The sleeves are large and puffy, tied at the wrists with string, while the hem slides across the floor with a cut-out at the front, showing off the feet clad in gladiator sandals. It’s a great look overall and one which we are quite a bit envious of. The new blouses seem to come in suede, in snakeskin and soft lightweight fabrics, in floral prints and simple color blocks. We have the deep V-plunge at the neck as well as the halter-top, while some are even wraparound designs that are tied at the side of the waist and show off no skin at all. There’s no sleeve and long sleeve in this group of choices, while it’s pretty clear that the tops are not meant to be fitted, but instead fall freely against the body. That is probably a great choice in itself as this year appears to be all about freedom and comfort in movement. We also see some pirates rescuing ladies in distress, the long, flowing maxi dress in a pale teal color and the ruffles at the sleeves implying innocence. There’s something very Peter Pan and Wendy about this duo, with the lovely rich girl still in her sleeping gown abducted by a pirate woman who wears strappy gladiator sandals, a velvet sleeveless overcoat and a shirtdress with puffed sleeves and a pretty white necktie that barely skims the tops of the thighs. It’s almost as if we are in a dream here and the characters of famous novels come into play. You can imagine why these pieces would captivate us, with their Shakespeare meets Disney style inspirations.